Posting and discussing input on challenges and opportunities of ʻaina-based education in Hawaii. Across Hawaii, more and more emphasis is moving towards ʻāina-based education (environmental education, learning systems rooted in the land, etc.). However, there are many challenges that ʻāina-based educators face (as well as opportunities for these alternative education systems to blossom). 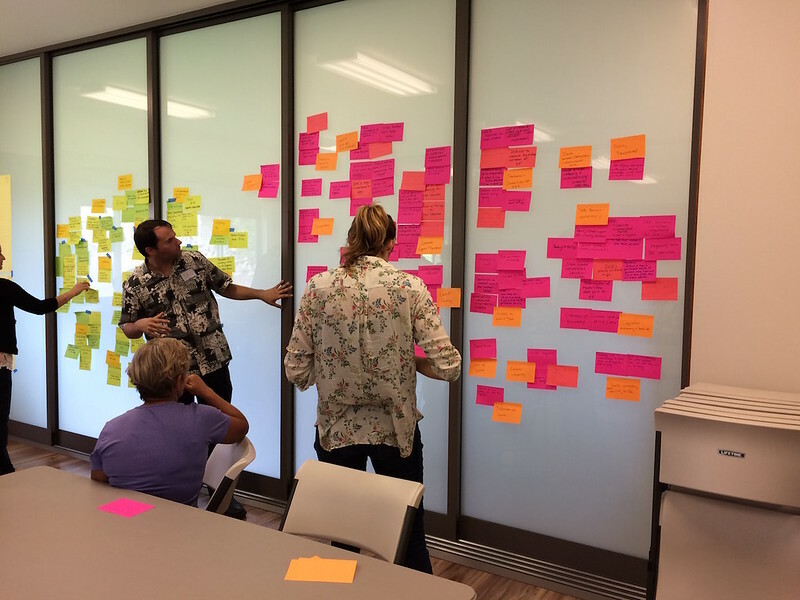 On October 26 in Waimea, Hauʻoli Mau Loa Foundation invited several groups working in the ʻāina-based education world on the Big Island to provide a workshop space to better understand those challenges and opportunities. Pablo Beimler represented HWMO at the meeting and gave his input coming from the wildfire education perspective. The participants shared their experiences with one another through a novel input collection process that will be presented as a “systems map” in 2017.